Donate for the 38 Georgia Dogs! when you use this button! To serve animals in need through rescue, foster and adoption. 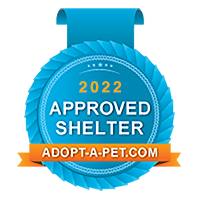 Rescuing unwanted, neglected and abused animals, providing foster care, training, medical attention, socialization, and finding permanent caring, loving, family homes for adoption. GreenePets promotes responsible pet ownership, spay/neuter programs, and animal welfare education. Founded in 2004, GreenePets Foster Network, Inc.
GreenePets has been in operation since 2004, serving the Upper East Tennessee area. In 2007, we partnered with CrittersWork Service Dog Partners, Inc. and we now foster Service Dogs in Training as well as our own adoptable pets. Our partnership with All Creatures Country Club kennels and training center enables us to operate as a full rescue. We can never find enough foster homes to support our dogs in rescue. Volunteers are needed all the time, and we would appreciate hearing from you. We are no-kill, which means when we accept a dog into our rescue, until a forever home is found for that individual, they stay with us. Sometimes the dog will never find that special forever home. We are dedicated to each dog throughout their life. IRS approves tax deduction for fostering expenses. Our dogs love to sleep on Kuranda dog beds, but we don't have enough for everyone. If you would like to donate a bed at a special wholesale price for another dog to sleep in comfort, please donate a Kuranda dog bed. Wow, now this is a complicated question. We never intended to, these things just come about, because there are those who for some reason don't seem to understand responsibility. We started long before GreenePets was founded, each of our dogs throughout our married life were in some stage of homelessness when they chose us, and did I ever tell you about the kitten that came for a weekend, and stayed 14 years? I guess someone has to step up to the plate. It is sad though, because only so many pets can live in the house with us, currently five, which leaves others to live in the kennels. Some of them have also been with us since 2003, like Maddie for instance. It takes a great deal of work to keep long-term kenneled dogs entertained enough and given enough activities to keep them happy and healthy. Maddie, has the run of the place, though she prefers her kennel be available to her at all times. Our rescue dogs are very fortunate that we work hard to make sure they are exercised and have activities to make their lives happy and whole, and it is extremely sad that these three adorable dogs have never been adopted. Maddie is a special dog who will most likely never be adopted. She can't cope with life without the certain pals she has selected as her pack. We tried to get her a home, and she kept breaking out and trying to come back to us. Maddie was rescued with her siblings from the banks of the Nolichuckey River in May of 2003. Someone allowed this litter to be born, and then when they were about weaning age, they dumped them to fend for themselves on the riverbank. You don't want to know my view of people that can do a thing like that. It took my husband and I over an hour to round all those puppies up out of the overgrowth and trash on that riverbank. Maddie is an adorable dog who is very hyper specific about her world. She is able to cope with life with us, so with us she stays. We are so very thrilled that she is making human friends this year, and coming to trust others. Recently Maddie has blossomed under the care of a volunteer who stayed three months and taken Maddie under her wing.